I felt uncomfortable standing beneath it, as it labeled not just the shelves, but my own burgeoning identity, and committing to this unfamiliar label so publicly felt entirely premature. While the “Gay” part I understood, it was only years later that I realized the second part of the sign was equally true, as I was studying the world I would soon fully inhabit. Coming out has changed greatly in the years since, but what I found through the books on that shelf provided for me the same reassurance as those emerging today seek; through the stories, I learned I was not alone. Novels by such authors as Larry Kramer, Armistead Maupin, Andrew Holleran, and Felice Picano filled me in on this mysterious world, where other men openly searched for love, but one book from that time stands out to me as unique, and resonated with me deeply. 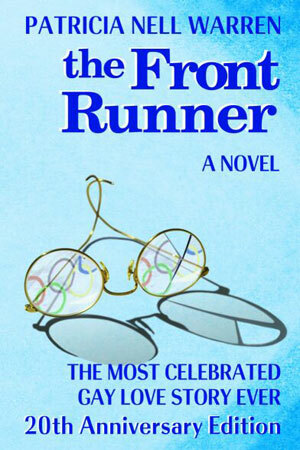 Patricia Nell Warren’s groundbreaking novel The Front Runner follows coach Harlan Brown and his protégé Billy Sive as they discover love against the backdrop of the Olympics and a changing world. As a young man myself, I had yet to find a book which spoke to my generation, and identified both with Brown, as he emerged from his more rigid, conservative environment, as well as Sive, who embodied the new, free spirited era, exploding on the horizon in front of me. Prior to The Front Runner’s publication in 1974, Warren authored her first novel, The Last Centennial, published in 1971. She had also published three volumes of Ukrainian poetry independently, as well as amassing a large body of unpublished work. 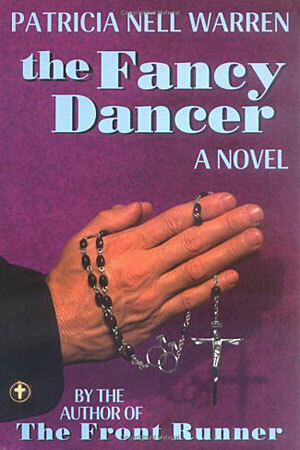 While the debut of The Front Runner introduced Warren to a new legion of fans, she was surprised to find that the book rankled some in the literary establishment, who were uncomfortable that such a seminal gay male romance had been written by a woman. It didn’t seem to matter to them that she had come out in 1974 as a lesbian. Whether as an American writing Ukrainian poetry, a runner helping to usher women into the sport, a woman writing gay male fiction, or as a writer, taking control over her own work as publisher with Wildcat Press, Warren has long been a game changer, moving into uncharted waters and navigating them for others. She graciously agreed to take time out from her busy schedule to talk with me about her body of work, issues facing the LGBT community, and the rewards and challenges of having written a literary classic. As a bonus, she also reveals more about the prospects for the long-awaited The Front Runner movie, as well as the continuation of that tale in a fourth book. Warren: With gun violence, the horse is thrashing around, and all we get are speeches. Events like that have happened how many times, with no real action…? In the LGBT community, we have the same experience of sometimes making speeches, instead of creating real change. Warren: Like many women of my generation, the pressures on women to be and act a certain way were enormous. Back then, there was no feminist movement, and even the careers which were open to women were very limited. You didn’t think of being a brain surgeon, for example. That just wasn’t done. While within my own family, my desire to write was supported, it was also clear that while writing might be an interest, there was also an expectation that I would marry. Now, while I didn’t know the words “gay” or “lesbian” at that time, I nevertheless knew I was different. I’d had a romance with another girl as a teen, though neither of us knew what to call it; we just knew it was something to hide. I ultimately married, to a Ukrainian man. I had written quite a bit of poetry, prior to marriage, and through him I was introduced to Ukrainian poetry. I became the only non-Ukrainian among The New York Group of émigré writers and poets, and we had enormous success with our work. It was translated into various languages and even read covertly in the Soviet Union. Later, having committed to writing longer works, I wrote an abortive novel, which would eventually become The Wild Man, and followed it up with The Last Centennial. 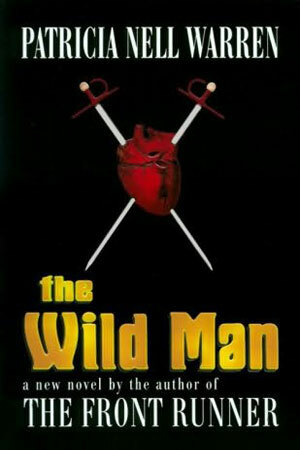 Edwards-Stout: Like The Front Runner, The Wild Man also focuses on a gay male romance, but takes place in Spain. Warren: I began writing it when I lived in Spain, before The Front Runner, but ultimately decided to put it aside. Warren: At the time, I was still closeted, but was very intrigued by what was going on in Spain in terms of LGBT lives. General Franco led a deeply homophobic regime. If you were gay during that time, they would quite simply kill you. This was not just social pressure on someone to conform, or going to jail if you were caught; Franco had a vendetta against gay people. And that atmosphere led me to tackle those themes, but as I was not yet in an honest place with myself regarding my own sexuality, the book as I was then writing it didn’t work. I put that manuscript into a drawer, and didn’t return to it for twenty years. Edwards-Stout: When you think about the extremes you were living under in Spain, marriage equality there today seems like quite a leap. Warren: While I lived there, the country’d had over 500 years of state religion, in addition to being run with a very tight fist. After Franco died and the country began to change, the rapidity with which they moved was inspiring. Most Spanish people were so tired of living under that kind of control, they immediately embraced their freedom. Edwards-Stout: And yet we Americans still don’t enjoy those same rights. Warren: The U.S. religious right wants to establish a Protestant version of the same thing, with some people expecting everyone to follow their brand of Christianity, which would essentially be state religion. Edwards-Stout: Eventually, you came to a place where you felt you could tackle gay themes. What inspired The Front Runner? Warren: Well, I’ve always loved sports. When I was growing up in the 1940s, however, there was no enlightened approach to sports in terms of gender. With basketball, for example, girls weren’t allowed to run; you simply threw the ball from one person to the next. We were allowed to play softball, do tumbling, swimming, but there was no girls’ track, which I loved. It wasn’t until the late ‘60s, when the long distance running craze hit, that I moved from jogging to long distance, which is when my experience with competitive sports began. It was that experience which led me to write The Front Runner. I originally envisioned the story as being about a female coach and one of her women runners, trying to reach the Olympic Games. Edwards-Stout: What made you change those characters to men? Warren: It was a very practical decision, as I realized that no one would believe the story, because in 1972, while women’s track was beginning to take off, there simply were no women’s track coaches. Women’s track was all coached by men. So I made the decision to change the genders. 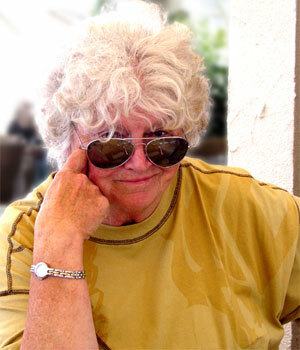 Edwards-Stout: At the time the novel was published, younger gay characters weren’t as prevalent as they are today. Many books focused on men in their thirties, enjoying their sexual liberty. With Billy Sive, you created a character which resonated deeply with readers, giving them someone with whom they could identify. Warren: Being so involved in the long distance running movement, I encountered many youth who were coming out. That interaction led to the creation of Billy, who is very much a product of the times. He’s a kid, coming of age in the 1960s, contrasted with the character of Harlan, born during World War II, and very conservative. I thought the collision between the two would be fascinating. Edwards-Stout: If you were creating that character today, would he have taken the same journey? Warren: No, his experience would be different. 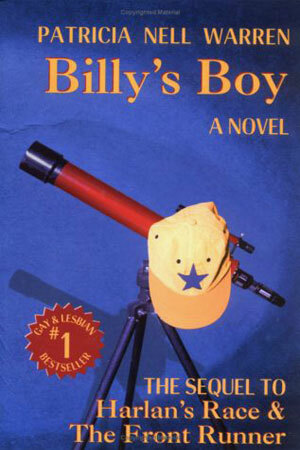 With Billy’s Boy, I was able to take aspects of Billy and continue that character through his son, who experiences coming out in the 1990s. And if I ever get the fourth book written, you’ll see that evolution of the coming out experience, moving into today’s world. Edwards-Stout: When The Front Runner was published, did you have any idea you’d face criticism within the gay community? Warren: I simply wanted to tell a story. I realized that while the book itself could be controversial, it would also mean that I myself was coming out, so the entire endeavor was a bit scary. Still, I was completely shocked when I found myself being criticized from some in the gay community who felt that I had somehow broken the rules, being a woman and writing about men. Edwards-Stout: What is interesting to me is that while today many female authors writing gay male fiction are using pseudonyms, you used your own name in publishing the book. And having that name on the book jacket was not an impediment. Gay men picked up the book in droves, because the story resonated with them. Warren: The feedback I’ve gotten over the years has been very interesting. Some believed that “Patricia Nell Warren” actually was a pseudonym. Some thought I was a man, or a drag queen–I don’t know where those stories came from! (laughing) With time, people have gotten used to the idea of a woman writing that book. Edwards-Stout: With the explosion of women writing m/m romance, what are your observations of that genre? Warren: We have so politicized literature today, pigeonholing people into gay male fiction, lesbian fiction, transgender fiction, and then other sub-genres within those… There seems to be a feeling like authors should stay in their own box, and not write about anybody else, but the thing is, as a writer, you’re constantly writing about things that you yourself haven’t personally experienced. We should all be free to write about each other as human beings. Some gay men love reading lesbian novels, some straight women love gay male romance, and that richness of reaching across the boundaries helps us further our understanding of each other. Edwards-Stout: What have been the blessings and challenges of writing such a seminal work? Warren: Well, The Front Runner remains by far my biggest selling book, has been translated into countless languages, and continues to sell all over the world. I’m grateful that this book gave me an ongoing life as an author. It brings me into dialogue with people all over the world. I do celebrate all of that, but I also have other stories to tell. More recently, I’ve been writing editorials about issues facing us, and have tried to help create change through those. Today, our government has so criminalized the right to protest, that people don’t take action as they once did. That makes it important for us to use other means, such as online polls and petitions, to help lobby our causes. Edwards-Stout: It wasn’t that long ago I would’ve dismissed electronic armchair activism, but this election really opened my eyes to the possibilities that even something as simple as “liking” a political photo on Facebook can have… I think some of that online momentum we saw may have helped swing the election for Obama. Warren: I think that is very true. Online petitions have emerging power to create real change. They put pressure on companies, organizations, and even governments, holding them responsible for their actions. Look at Uganda and their “Kill the Gays” bill. Electronic media helps direct attention to issues which need to be tackled. Edwards-Stout: I’m curious, given your experience in writing about LGBT youth, as to your thoughts on the rash of suicides. How can we create a better environment for our youth? Warren: The “It Gets Better” campaign seems to be effective in terms of awareness, but suicides are still continuing. I think we need to think more globally, in terms of the immediacy our lives now have. You can barely take a breath without it being noted on Facebook. We need to think more about how that interconnectivity affects us, as what one person does or says, or what we do or say, can have a tremendous impact on someone else. Our thoughts and actions have ramifications beyond our intent. Balance that against what I experienced growing up in a small Western town in the 1940s and 50s… I was relentlessly bullied for being smart, a “brain,” until I finally reached my limit and began fighting back, physically. Fist fights on the school bus and playground…which I usually won. Now, while that worked for me in the 1940s, today, of course, a bullied kid shouldn’t respond by fighting, because he or she will be arrested. We need to find a way to encourage that strength to grow within oneself. Until you can learn to stand on your own, you’ll be bullied again, as that weakness is targeted by others. Support networks for kids are essential, as is other children standing up and calling the bullies out. We need more comprehensive support, from teachers and principals, to help our youth find better ways of dealing with it. Warren: This was in 1994. The program was called EAGLES Center. We had about 42 kids, mainly boys, with the majority being African American and Latino. And even these kids bullied one another! Seeing that dynamic at work was fascinating, and much of Billy’s Boy came from that experience. Edwards-Stout: That’s a really interesting point. It is easy for us to say “Stop LGBT Bullying,” but we do the same kind of bullying ourselves, within our community, with our catty and snide comments. Those attitudes don’t go away, just because we age. Warren: If we are to mature as a community, we need to examine these attitudes and find a way to grow out of them. While we call ourselves a community, I usually put quotes around that, as it doesn’t always feel like a “community,” with all of the infighting. Edwards-Stout: One of your defining characteristics seems to be your willingness to be a “front runner” yourself, forging into areas not always familiar or welcoming. Where does that desire come from? Warren: I think much of that came from my family history. On both sides of my family, people have died in search of freedom. Hearing those stories helped shape the idea that it is part of our responsibility as humans to try to better our situations. We have the ability to shift power, if we band together. Edwards-Stout: You also moved into publishing, forming your own company, long before the self-publishing boom of today. It was a very inspired and yet unexpected move on your part. What made you become a publisher? Warren: I began taking control of my own work when I realized that I needed to hire an attorney, just to get the royalties that were due me. You hear about problems with back-end payments in the film industry, but the same thing can happen in the book industry. You are completely reliant on what your publisher is telling you as to how many books were printed, your sales, your royalties–and not all publishers are as honest as one would like. This was why my Wildcat Press was launched in 1994. Edwards-Stout: I’m a first-time novelist myself. Given the various options available today, what advice would you give authors just starting out? Warren: It is a very tough time to be a new writer. The book industry follows the economy, and as books are retail, it has been a challenging time for anyone publishing a book. Not too many years ago, authors would first look for a literary agent and/or approach publishers until they found someone willing to publish their book. Things have changed greatly today, with the introduction of e-books, publishers going out of business, independent publishers being bought up by conglomerates, bookstores shuttering, etc., and yet I still believe that a writer can find a publisher and be successful. Authors today need to play an active role in promoting their books, no matter if they have a large publisher or small, as most don’t have the promotional budgets they once did. Authors also need to understand both the various options available to them, and the marketplace and how it all works. Do your research and know your rights as an author, especially when signing a contract. In the LGBT world, we have the additional problem in that gay and lesbian bookstores are closing left and right. The mailing list of gay and gay-friendly bookstores has shrunk from over 450 addresses just 15 years ago, to maybe 45 today, which is a huge loss, especially as many of those bookstores also functioned as community centers. Edwards-Stout: Speaking of loss, you’ve also lost a great many friends and contemporaries to HIV/AIDS. How has it impacted you personally? Warren: I’ve lost many dear friends, even recently. One fought it for twenty years before it finally took him down… In the 1980s and 90s, our community did a tremendous job in regard to HIV treatment. The thing that has really baffled me is that, in the years since, there is so little talk about the need or desire for a vaccine. Pharmaceutical companies, at the end of the day, are focused on profit, and the HIV drugs they sell make a lot of money. Edwards-Stout: The drugs were supposed to be a stop-gap measure, to save lives until we found a cure. But there doesn’t seem to be an end game to this. Warren: Exactly. A vaccine, that is taken one time, or with periodic boosters, won’t be as profitable as these “maintenance” drugs. So unless we demand it from the pharmaceutical industry, it won’t happen. Edwards-Stout: I came of age during the AIDS crisis, and it has always bothered me that at the height of the crisis, the divide between genders seemed eased. Women stepped into vacant leadership roles and acted as caregivers and, at the time, it seemed that there was a genuine appreciation for the talents women have. Today, though, that gender gap has returned, and we’re back to being strangers. Warren: This goes back to some people wanting to put us all in pigeon holes. Years ago, certain gay-male-owned bookstores wouldn’t stock many women’s books, and some women’s stores wouldn’t stock men’s books. Putting us in such buckets makes it difficult for us to see into other people’s worlds. For a number of years, we felt as if we were making progress, becoming “Post-Gay.” Then we woke up to realize that we still don’t yet have our rights, and we’ve forgotten that we are still in a lifeboat. We need to get back into that lifeboat-mentality: we all need to be rowing, and rowing in the same direction. Say what you will, but a crisis wakes people up and makes them realize that their lives are at stake. That happened with AIDS, but we need that same mentality now, particularly around our issues with youth, ageism and elder care. Edwards-Stout: When I asked people on Facebook what questions they had for you, the number one question was about the status of The Front Runner movie. In the interest of full disclosure, years ago, in my acting days, I auditioned for the movie when producer Jerry Wheeler had the rights, and I was terrible! (laughing) What can you share about the prospects for a movie? Warren: As most people know, the rights to the movie have bounced around, but were initially optioned by Paul Newman, but for whatever reason he didn’t move forward with the project. After Newman, several people owned the rights, but they encountered roadblocks, such as the homophobia in Hollywood and the unwillingness of investors to make the investment necessary in order to tell this story authentically. Many people have tried to convince me that The Front Runner could be done as a low-budget independent film, but the minute you start talking about low budget, you have to ask, what will be left out? The story takes place during a certain era, at the Olympics, with a stadium full of people, all of which dictates a certain amount of money needed to accurately depict it. 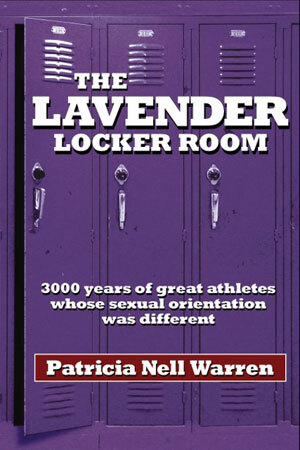 Warren: There are many aspects which make it timely: the fight for equality, the issue of gays in sports, homophobia, religion, violence… Whether the story is made contemporary, or done as a period piece, the issues it delves into still resonate today. I’m hoping in the next year or so we’ll have some exciting news to announce. Edwards-Stout: You have a wonderful legacy, and so many passions, from writing, to sports, to progressive causes. With all you’ve achieved, what do you next envision for yourself? Warren: I have many books on the drawing board. Not only the book I mentioned, which I’m writing with my brother, and the next book in the Front Runner series, but also another novel, The Wrong Side of the Tracks, which focuses on growing up as lesbian in a small Montana town, during the closing days of World War II. I also have material for some anthologies, such as Lavender Locker Room II, and I look forward to continuing to put my already-published pieces out via e-book. The Front Runner is already available on Kindle. Edwards-Stout: So much of what we’ve discussed today has been about identity and community. What are your hopes for the LGBT community? Warren: We must first obtain the civil rights to which we are entitled. The next step is in becoming part of society, while still maintaining our unique identity. When I visit places were the LGBT community has been woven deeply into the fabric of the community, identity intact, and simply accepted, it is wonderful. It shows that assimilation is possible, and I’d like us to be part of the larger fabric of our country, contributing in a positive way. But, as a community, we still have much work to do. We need to work toward healing the divisions we have around gender, race, the transgendered, bisexuals, elderly, disabled, our youth, intersexed people, etc. While we have much work to do ourselves, in the end, we have much more to teach the world. Patricia Nell Warren can be found on her website and on Facebook. © Kergan Edwards-Stout. For more by Kergan Edwards-Stout, click here to visit his blog.